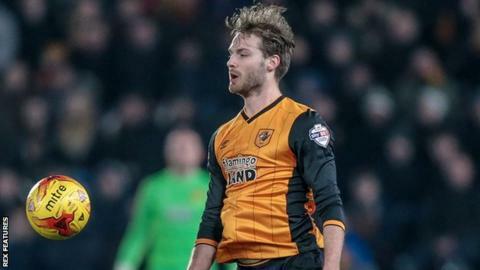 Hull City's on-loan Manchester United midfielder Nick Powell could miss the rest of the season with a thigh injury. Powell has made only two starts for Championship promotion-chasers Hull since signing on loan in February. The 22-year-old suffered the latest injury in training on Tuesday as he attempted to continue his recovery from a hamstring problem. "Normally you're looking at three or four weeks for an injury like this," manager Steve Bruce said. "I don't think we'll see him again before the end of the season." Hull are fourth in the table, seven points outside the automatic promotion places with seven games to play.